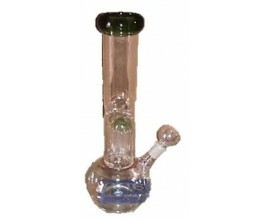 This green Beaker Grace Glass Bong is an awesome piece of glass art that will blow your mind! 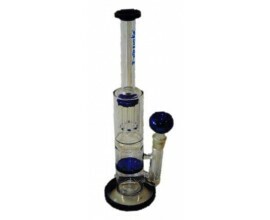 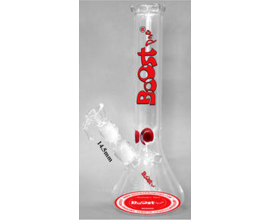 It comes with some green accents upon the sturdy heat proof borosilicate glass, formed in the shape of a beaker base tube. 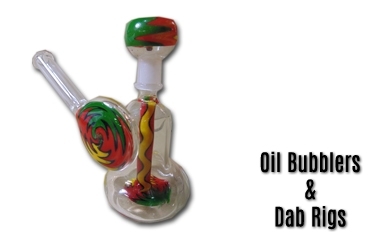 Your precious herbs or tobacco are placed onto the detachable green bowl, coming with a handle, that makes it easier to lift it up and clean at your convenience. 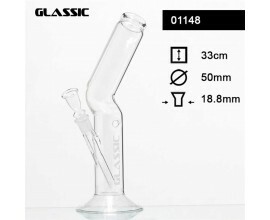 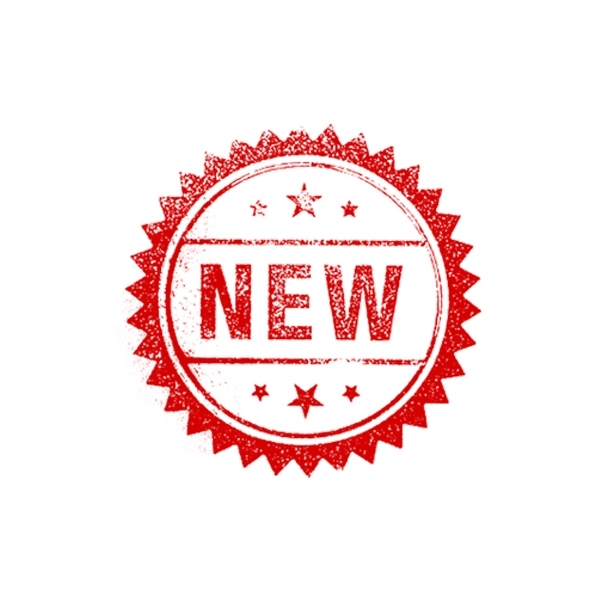 The bowl connects to a detachable chillum through a sure ground of 18.8mm diameter. 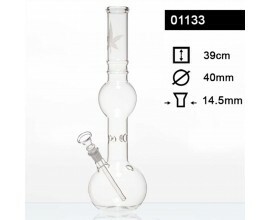 A green 1x8 Arm percolator bubbles up your smoke, smoothing your toke, and a green splashguard in the shape of a dome prevents water from splashing into your mouth. 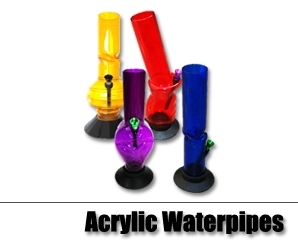 What's more, some ice noches can hold a few cubes, for cooling your smoke, and a kickhole with a rubber carb stopper will offer you the option of enjoying a different toke angle. 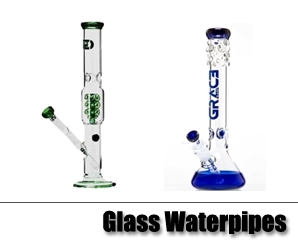 With the green Grace Glass logo featuring at the top the tube, the whole set-up ends up in a cosy mouthpiece ring.